Dulwich Dental Clinic has some of the renowned NHS, private and emergency dental practitioners who provide top quality treatment to the patients. The dental clinic is situated at 43 North Cross Road, East Dulwich, London SE22 9ET. Our dental surgeon will make your visit enjoyable and stress free by assuring you guaranteed solution for all your oral problems. 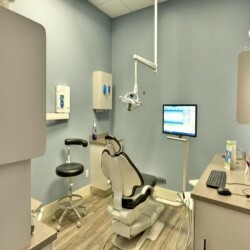 The dentists will also help you to improve your appearance and discover self-confidence with a wide range of modern dental techniques.